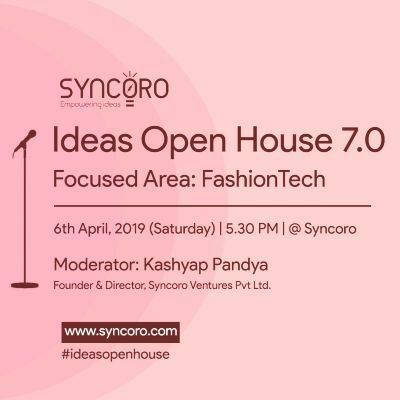 What are the trends and opportunities in Indian Fashion-tech space? Are there any innovative ideas that can disrupt the Fashion-tech space? 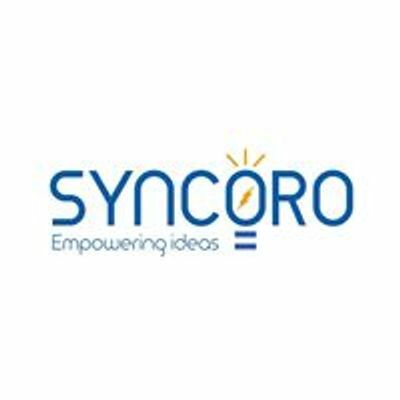 Let’s share and discuss ideas with like-minded entrepreneurs. 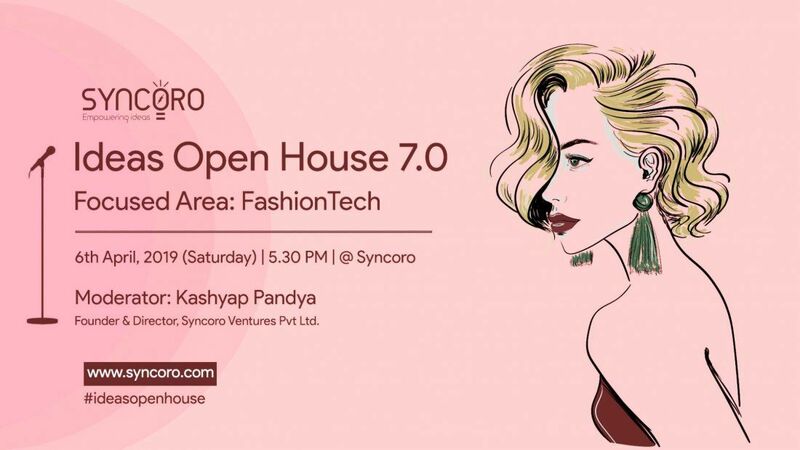 SYNCORO presents "Ideas Open House 7.0"
Venue: Syncoro. 3rd Floor, Masukhlal Tower, Opp Dhiraj Sons, Athwagate Gate, Surat.